New-car sales in the EU and EFTA countries fell 4.8 percent in December to 1.14 million, hurt by extra days off for Christmas versus the 2016 period. Demand declined at most major automakers except PSA Group and BMW, according to data from industry association ACEA released on Wednesday. Among brands that showed the biggest drops last month were Fiat, Nissan, Skoda and Jaguar Land Rover. Full-year sales were up 3.3 percent to 15.6 million, the fourth consecutive year of growth as a pickup in consumer confidence, retail incentives and new SUVs lured customers to showrooms. The 2017 figure was the highest since a record 16 million vehicles were delivered in 2007. The economy of the countries sharing the euro probably expanded at its fastest rate in a decade last year, according to European Central Bank estimates, and unemployment is at the lowest since 2009 across the region, including all-time lows in Germany and Poland. PSA's Peugeot and Citroen brands, Volkswagen Group's Seat, Fiat Chrysler's Jeep and BMW Group's Mini, along with Korea's Hyundai and Kia, were among sales winners in December. PSA's registrations for the month rose 61 percent after the automaker added sales of its newly-acquired Opel-Vauxhall division. Demand for the company's Peugeot and Citroen brands grew 9.8 percent and 1.6 percent respectively. DS sales fell 14 percent. Volkswagen Group recorded a 4.5 percent drop -- with VW brand's volume down 4.8 percent, Audi down 9.5 percent and Skoda down 3.2 percent. Sales at Seat, boosted by new SUVs, grew 7.1 percent. Renault Group's registrations fell 4.6 percent after a 9.7 gain at Dacia failed to offset a 9.5 percent drop at the core Renault brand. 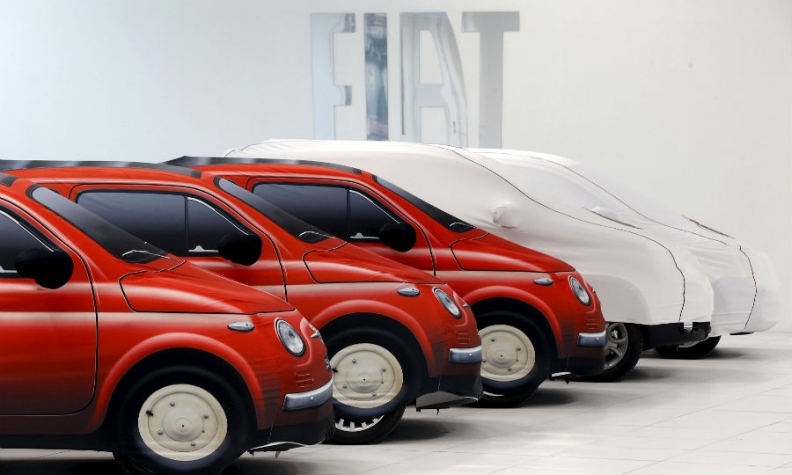 Fiat Chrysler's registrations fell 16 percent with a 20 percent decline at the Fiat brand and 7 percent drop at Alfa Romeo. Jeep's volume grew 12 percent. Ford sales fell 6.7 percent. Among Asian automakers, Kia's sales increased 6.1 percent and Hyundai's volume rose 2.8 percent. Nissan's registrations were down 10 percent and Toyota brand's volume fell 4.9 percent. BMW Group sales increased 5.7 percent, helped by 4.5 percent growth at the BMW brand and a 10 percent a gain at Mini. Daimler's registrations fell 8.3 percent with Mercedes-Benz brand's sales down 7.7 percent and Smart's volume declining by 13 percent. Jaguar Land Rover sales dropped 9.3 percent. Download PDF, above right, for December and 2017 sales by automaker group, brand and country. All five major markets, except for Spain, recorded sales contractions last month, led by the UK where registrations fell 14 percent, marking the country's ninth straight month of decline. German registrations were down 1 percent, France's fell 0.5 percent and the Italian market was down 3.2 percent. Spanish sales rose 6.2 percent. For last year as a whole, Britain was the only major European market to record a sales drop, down 5.7 percent, hit by uncertainty over potential new diesel charges and weakening consumer confidence after the Brexit vote. Growth is likely to slow in 2018, with Renault predicting a 1 percent gain and research company Evercore ISI foreseeing "flat" demand. Sales in the UK will probably remain a drag on the region's figures amid car buyers' uncertainty over how Britain's pending exit from the European Union will affect household budgets, LMC Automotive consulting company said in a report last month. Customers' questions about the future of diesel technology will also hold back demand.